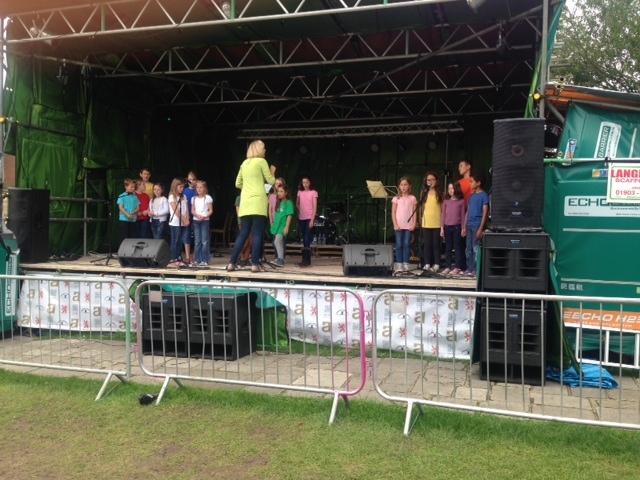 On Sunday 30th August St Philip’s choir teamed up with the choir from Camelsdale school near Hazelmere to sing in Jubille gardens as part of the annual Arundel Festival. The rain stayed away and the children performed to parents and members of the public. Well done to Miss Robinson (music teacher for both schools) who led, organised and rehearsed the 30 minute concert with the two schools.